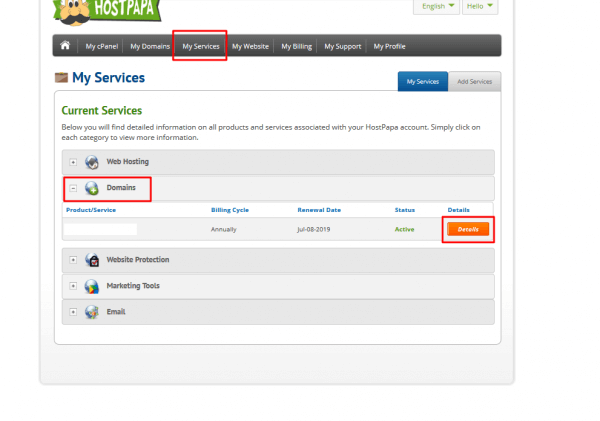 You may have noticed information about ICANN status for domains that are listed in the My Services and My Domains sections of your HostPapa Dashboard. This symbol means that ICANN has identified that one of the 5 actions listed above has occurred and the verification email was sent. You must locate the email and click the verification link within it, or click on the “Resend verification” button to have the email resent. A new domain name is registered with HostPapa. 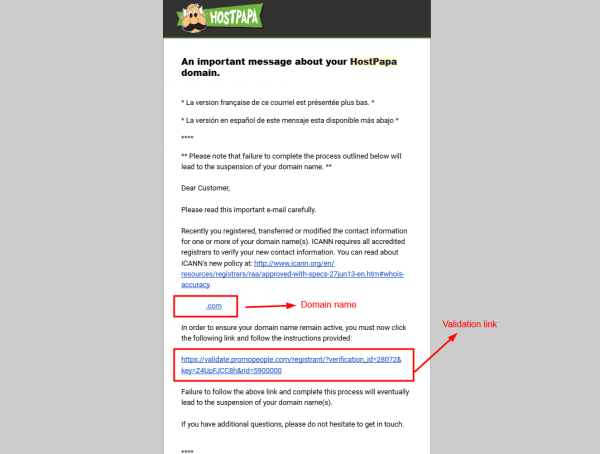 A domain name is transferred to HostPapa from another registrar. The registrant’s contact information (name, organization, or email address) is changed. 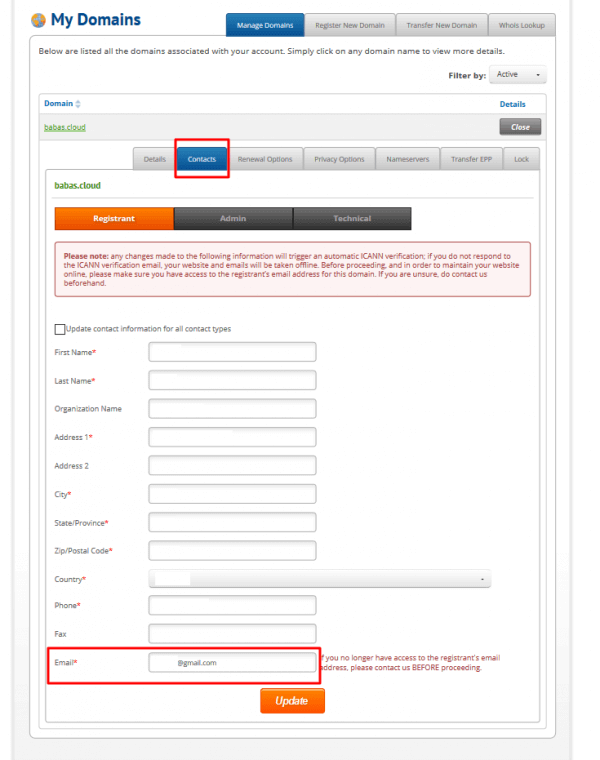 The WDRP* or ERRP** (Day 30 and Day 5 Renewal Notices) message bounces indicating an invalid email address. This symbol means that the verification process (clicking on the email link) has not occurred and the domain name has been disabled. To fix this, click on the “Resend verification” button to have the email resent. Once the verification link in the email is clicked, your domain will be enabled again and the status will change to the green checkmark “verified” symbol. This means that the domain name is not a gTLD*** and is therefore not governed by ICANN. Before clicking on the “Resend verification” button, please make sure that you have access to the listed Registrant email address. 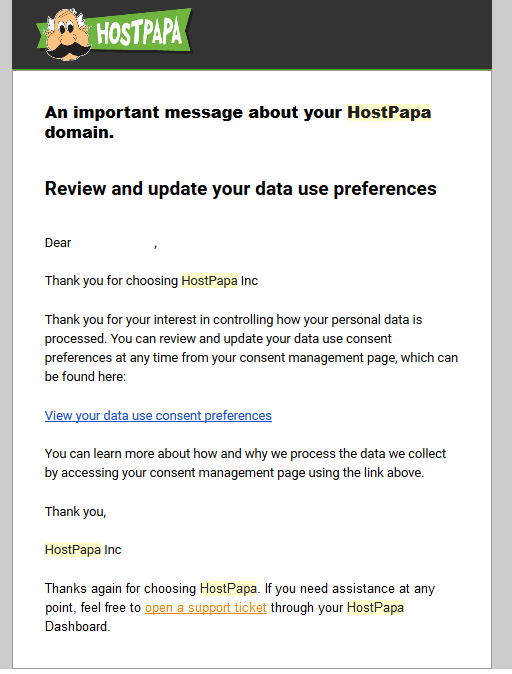 This email address may be different than your HostPapa account email address and it is visible in Domains Contacts section of HostPapa Dashboard. 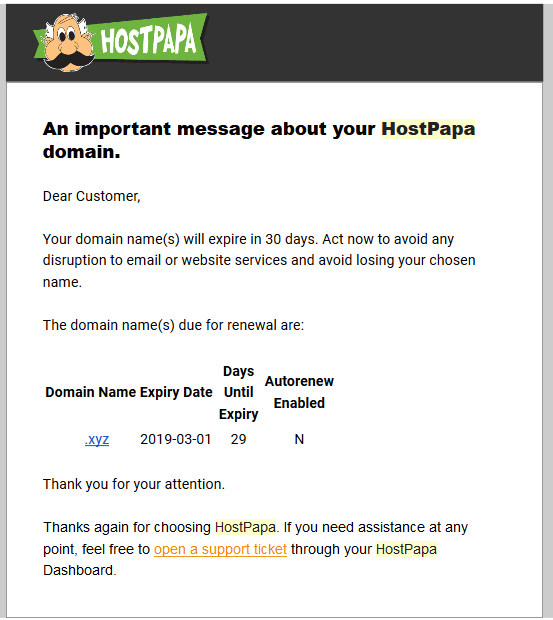 If you do not have access to the email address or it is a promotional domain service with HostPapa contact details filled, please contact HostPapa Support. The WHOIS Data Reminder Policy (or WDRP) is an ICANN policy designed to protect domain name registrants. The policy requires your registrar to formally remind you once a year to review and update your contact information. The reminder, which is also referred to as a WDRP Notice, is usually sent via email and asks you to review the WHOIS information, including contact information, associated with your domain name(s) and make corrections or updates when necessary. This refers to the mandatory renewal notifications sent by registrar to domain registrant (owner). One notification is sent 30 days prior domain expiry date. 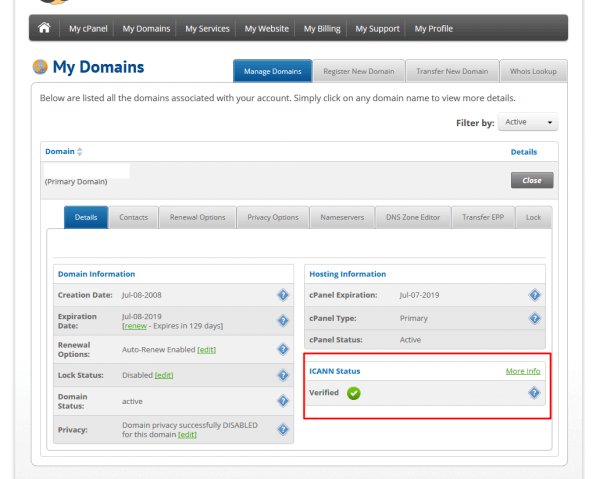 Second notification is sent 5 days prior domain expiry date. gTLD stands from generic Top-Level Domain and is the Top-Level Domain name of an Internet address that identifies it generically as associated with some domain class, such as .com (commercial), .net (originally intended for Internet service providers, but now used for many purposes), .org (for non-profit organizations, industry groups, and others), .edu (for educational institutions); For example, in the domain name, www.hostpapa.com, .com is the chosen gTLD.